Healthy and Confident Singing Voice: The 2 Plank Challenge for Singers! The Results are IN! The 2 Plank Challenge for Singers! The Results are IN! I hope you joined me in the fun of planks and the experiment to see how it affects your singing. After a few weeks of adding 2 planks to your daily practice, what happened? I noticed I started supporting my singing from my abdominal muscles immediately upon doing my warm-ups. 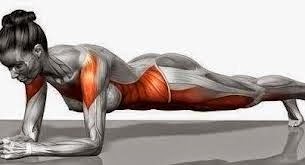 A plank activates the abdominal muscles to do exactly what we want them to do when singing: contract lightly but firmly. It also activates the quadriceps or front muscles of the legs. Engaging these muscles when standing helps us activate the internal abdominal muscles and provide adequate breath support to our sound. My breath support was balanced from the start and I avoided the potential to oversing even in emotional passages. My brain also was truly focused on singing from the start. The extra couple of minutes to get myself set to sing made an impact. 1 or 2 minutes of concentration on a muscular task also calms the brain. Instead of trying to calm it down to focus all on your own, physical motion helps you. It also calms and slows down your breath from our quick paced world. "The planks help me develop a stronger core which I can feel." "A tighter belly creates more breath support which is therefore easier on my throat when singing. I always want to start my sound in the throat without using my breath first. This is helping me to break this habit." "My core is getting stronger to use it and guide my air better." "I am connecting with my breath more now when I sing." Each individual is unique so various approaches work for different people. Singers who are also athletes may need less direction on support and dancers often already have tight core muscles which may need to be relaxed when singing. Those who are not as physically active outside of singing may need to take more time to get in tune with their bodies. Physical fitness is an important part of being a singer today. Find the activities that work for you to keep improving your singing and truly get your voice and body coordinated to make YOUR best sound. Keep up the plank challenge and let me know other things which help you!